The second edition of Practical Aviation Security is a complete guide to the aviation security system, from crucial historical events to the policies, policymakers, and major terrorist and criminal acts that have shaped the procedures in use today. The tip-of-the-spear technologies that are shaping the future are also addressed. This text equips readers in airport security or other aviation management roles with the knowledge to implement the effective security programs, to meet international guidelines, and to responsibly protect facilities or organizations of any size. Using case studies and practical security measures now in use at airports worldwide, readers learn the effective methods and the fundamental principles involved in designing and implementing a security system. The aviation security system is comprehensive and requires continual focus and attention to stay a step ahead of the next attack. 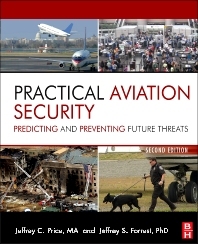 Practical Aviation Security, Second Edition helps prepare practitioners to enter the industry, and helps seasoned professionals prepare for new threats and prevent new tragedies. Jeffrey C. Price, MA, CM, ACE-Security, is a recognized authority on aviation security. He is a Professor in the Aviation and Aerospace Science Department at Metropolitan State College of Denver. He has worked in the field for over 20 years, most recently as a trainer for the certification programs of the American Association of Airport Executives (AAAE). His company, Leading Edge Strategies, has conducted the Airport Security Coordinator Training School. Jeff is also the original author of the Airport Certified Employee (ACE) Security program, as well as the lead author of the new Certified Member (CM) Body of Knowledge, and trains both the ACE Security and CM programs. 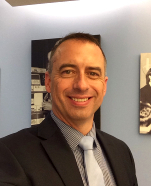 Jeff entered airport management in the Operations Department at Stapleton International Airport in 1992, worked in operations and developed the initial airfield manager training programs for DIA, then helped open Denver International Airport in 1995. He served as the Assistant Security Director until 1998, then moved to Jefferson County Airport as the Director of Public Relations, Marketing and Property Management. He was appointed the Airport Manager at Jefferson County Airport in 1999 and served until 2002. He also was appointed to a term on the Colorado Aeronautics Board.